There is no better way to develop a professional image and to strengthen your brand identity than customized envelopes. They allow your customers and business partners to easily identify your letters and portray a professional image. Add a photo, logo or a tagline, to make your envelopes more appealing. 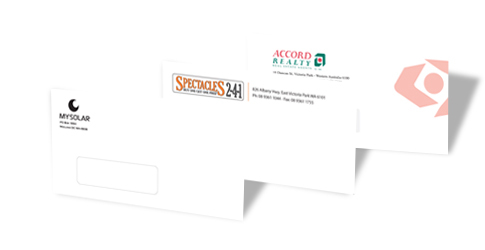 WA PRINTING provides a range of different envelope sizes to meet your requirements. Custom envelopes are noticed easily and stand out from the others letters. They make up professional image for your business and are ideally used for various uses such as sending invoices, letters and confidential documents. Visit our WA PRINTING stores located in Perth and Midland to discuss our range of envelopes or place an order through our website, over the phone or by email.